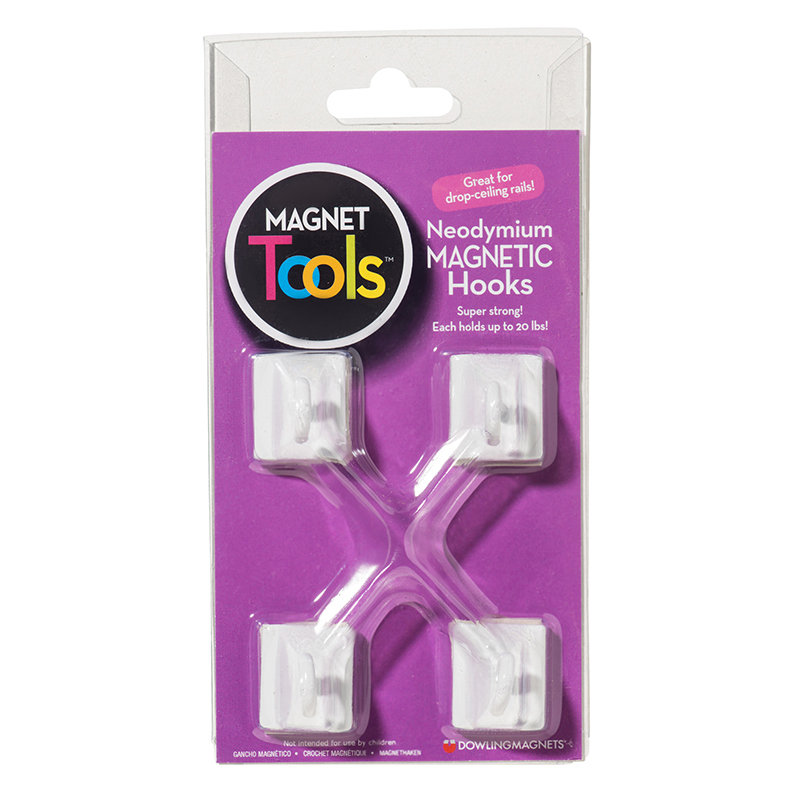 Super-strong neodymium magnet hooks will hold and stay put! Great for use in the classroom, home, shop or office. These new magnets are designed for hanging artwork, mobiles, etc. from suspended ceilings! But of course they also work GREAT as clip strip holders and point-of-purchase display magnets. Each magnet measures 7/8 x 1" and are rated to hold over 20 pounds!